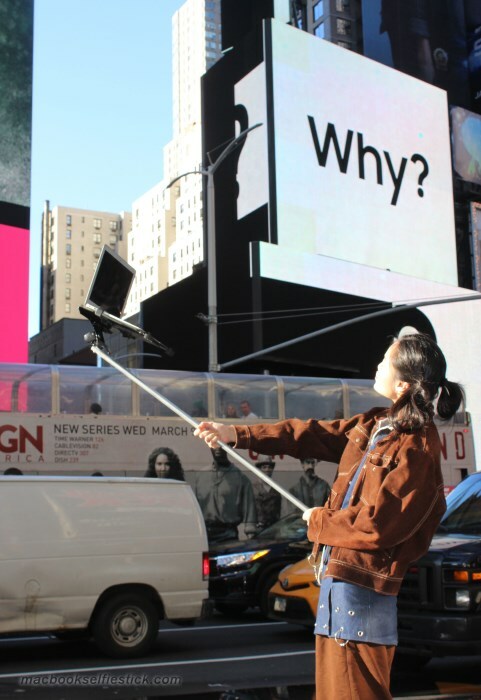 Here Comes Selfie Stick…for MacBook? Selfie is indeed a popular way for many users to capture and share their memories with others to the extent that some manufacturers have come out with products specific for it including selfie sticks. 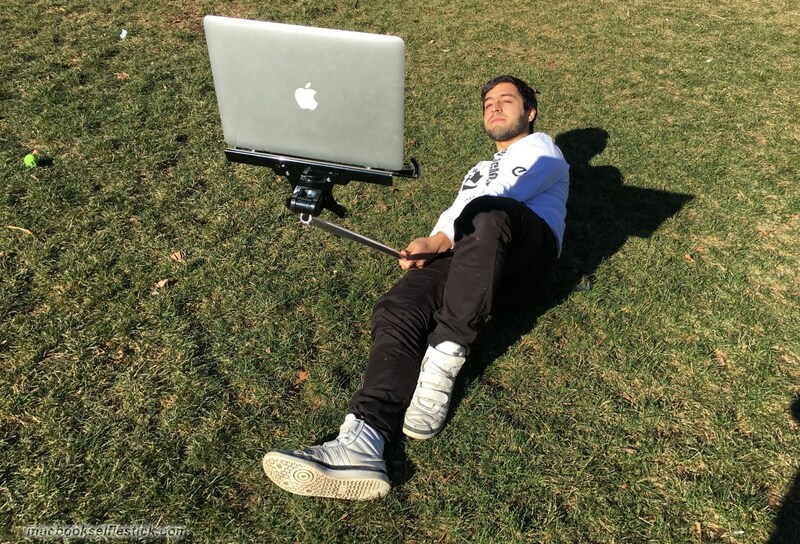 While there are so many selfie sticks in the market but we don’t think any of them are made for Apple MacBook like the one shown here. Its creators didn’t reveal any technical details the selfie stick but to us, it seems that the stick is a combination of a metal pole together with a clamp that is capable enough to hold a MacBook in place. It is also not known whether the stick is built with a trigger that allows users to wirelessly snap photos with their MacBook. Before any MacBook owners out there rush out to buy the selfie stick at their favorite Apple dealer, the stick is not actually for sale (aha!). Truth to be told, it is actually the centerpiece of an art collaboration between artists Art404, John YuYi, and Tom Galle. 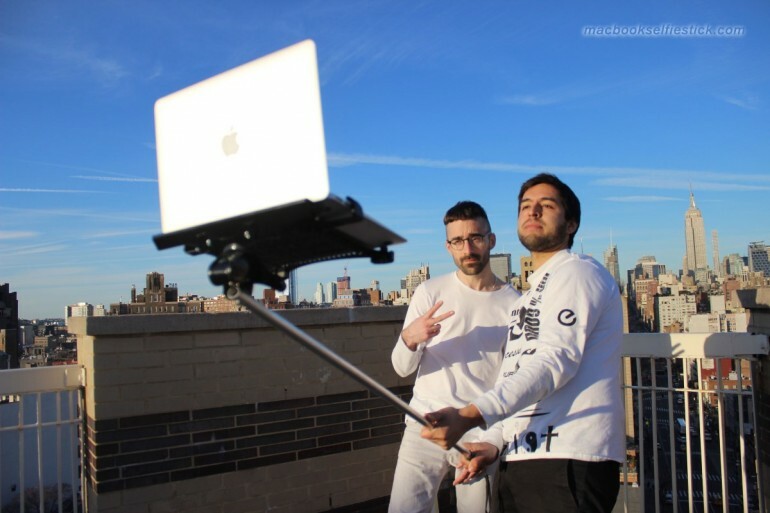 Complete with its own website, it is hard to tell the real motive behind MacBook Selfie Stick since the artists themselves didn’t provide any descriptions or comments regarding the project. Hence, the interpretation of the project is really up for everyone and for us, it could be that the artists just want to point out our obsessions with selfies. Or maybe they just want to see how viable it is to use MacBook as a selfie machine. Our verdict: nope…just nope. Please…just don’t do it.